The second image was a double-exposure (so to speak). 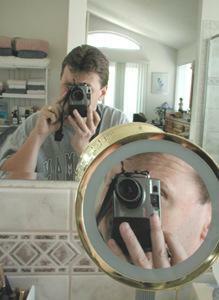 Two mirrors with one shot. Oh my god, are those crowsfeet on my face?